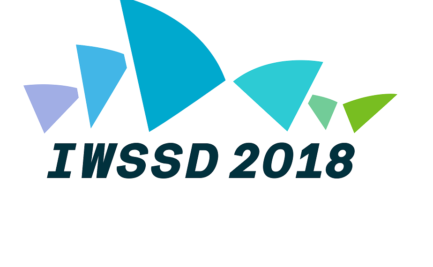 The 4th International Workshop on Superconducting Sensors and Detectors (IWSSD 2018) will be held in Sydney, Australia, from the 24th to 27th July 2018. Previous IWSSD workshops were held in Daejeon (Korea, 2012), Shanghai (China, 2014) and Tsukuba (Japan, 2016). IWSSD 2018 will be hosted by the Australian Commonwealth Scientific and Industrial Research Organisation (CSIRO) in Sydney, Australia. The Conference venue is the CSIRO West Lindfield Laboratories which is 15 km for the city centre. Superconducting sensors and detectors are fast growing fields in Superconductivity. They play an important role in a wide range of research and development areas, for example, quantum information, analytical instrumentation, synchrotron radiation, mineral exploration, security, astronomy and wireless communications. The IWSSD aims to bring together leading experts from all related areas to exchange the latest research results and information on superconducting sensors, detectors and their applications. On behalf of the Local Organizing Committee of IWSSD 2018, it is our pleasure to call for abstract submissions to the workshop. All technical contributions should address aspects of Superconducting Sensors, Devices and their Applications according to the submission topic list below. On-line abstract submission is now open: http://wp.csiro.au/iwssd2018/abstract-submission/. The deadline for abstract submission is the 15th March, 2018. Please indicate which topic area best aligns with your abstract from the list of submission categories. It is possible that an abstract may align with more than one topic. The Organizing Committee may change the topic area when reviewing the submissions and planning the program. The decision about abstract acceptance, as well as the allocation of abstracts as “Oral” or “Poster” presentations, will be reviewed by the Program Committee following the abstract submission deadline date and communicated to authors by the end of April 2018. On behalf of the Local Organization Committee, we are looking forward to your contribution towards making IWSSD 2018 an exciting and successful scientific workshop.